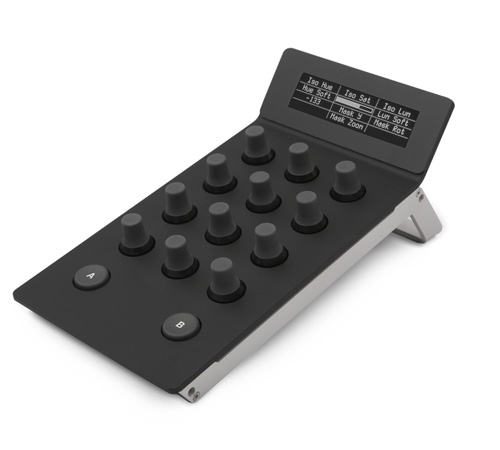 The Tangent Element Kb panel is a multifunction programmable knob control surface perfectly suited for use with a wide variety of on set and post production color management tools including Pomfort's LiveGrade Pro. It features an easy to read OLED display that soft labels all programmable controls. The Element Kb panel has a durable yet slim design composed of a solid laser cut aluminum base. It's small footprint (4.3" x 7.9" / 11m x 20cm) is equally at home on a post production desk or on a DIT cart.